North Peoria or North Scottsdale? The greater Phoenix area is truly a wonderful and special place to live with nearly year-round sunshine and abundant opportunities to take in the natural desert lifestyle. Choosing a specific area to settle down in, though may be challenging due to the amount of growth occurring all over the Valley. If you’re thinking about moving to the area, and are looking for great neighborhoods that offer quality home builders and amenities, there are two areas specifically that you may want to consider. Both North Scottsdale and North Peoria offer residents amazing choices and a great selection of new home options that are hard to match in the Phoenix area. In this article we list the benefits both areas have to offer so you can make the best decision for your lifestyle and family. North Scottsdale is one of those notorious places to live that tends to rank favorably amongst locals and out of towners alike. However, the Phoenix area has grown so much that there are now a host of cities that offer similar attractions worthy of comparison. 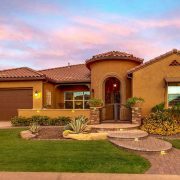 North Peoria is one of the best places to live in the area and precisely the kind of upcoming community that can match much of what North Scottsdale has to offer and even provide its own unique cultural flare to the Valley of the Sun. Peoria and Scottsdale both have some similar overall options to what they offer for families. Each provide a variety of restaurants, family-friendly entertainment centers and retail conveniences with plenty more slated for the future. Scottsdale however is one of the more popular tourist destinations in the state which can lead to increased traffic and crowds during certain times of the year. Peoria is a growing city with less crowds and is appealing to many families as it offers more affordable housing choices away from the hustle and bustle. Scottsdale and Peoria both have similarly ranked public schools and both offer a variety of private school, public and charter school options. Both Peoria Unified School District and Scottsdale Unified School District consistently rank in the top 10 and have schools that offer modern classrooms and a diverse curriculum. Scottsdale has a wonderful system of established community centers and parks as does Peoria. Peoria currently offers more than 30 parks, 20 miles of trails and is in the process of expanding to include even more with a new 120 acre multipurpose park in North Peoria. Which is best for retirees? 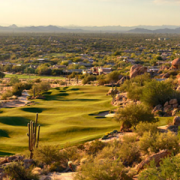 Scottsdale and Peoria are both great places to retire with beautiful desert surroundings, year round warm weather and an abundance of housing options. 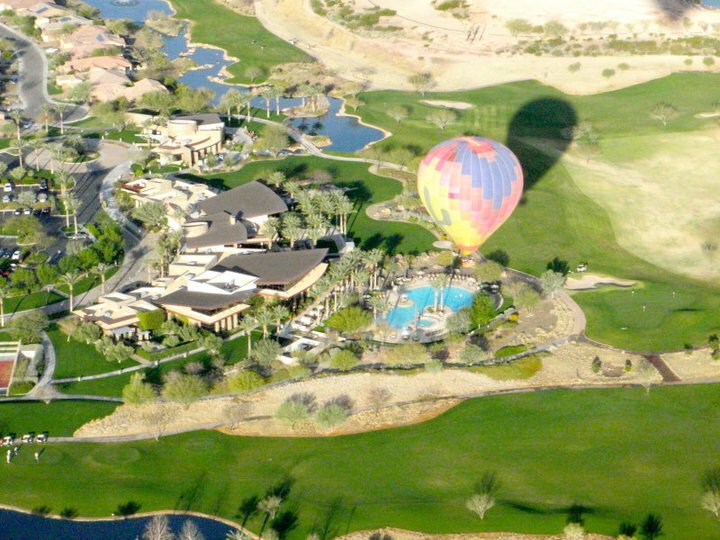 While Scottsdale is a retirement destination, North Peoria also has many communities that are specifically for active adults and retirees. There are several 55+ communities, including Trilogy at Vistancia; and due to the fact that Peoria neighbors well established 55+ communities such as Sun City, Sun City West, and Sun City Grand, there is an abundance of support for active adults in the area and many amenities and events that active adults can enjoy. Which is best for golf? Scottsdale is well-known for golf and many consider it one of the best places to play golf in the country, if not in the world. However, the West Valley offers some amazing courses as well including the Trilogy at Vistancia golf course,Quintero golf course and numerous other public courses in Sun City, Glendale, and surrounding areas. In addition, the one of a kind private Blackstone Country Club golf course, recently voted the # 1 private golf course in Arizona is located in the North Peoria area. Which has the best shopping and restaurants? Scottsdale is known for its selection of upscale and unique shopping destinations featuring a large selection of luxury shopping with high quality brands including Old Town Scottsdale, Scottsdale Quarter, and Kierland Commons. Peoria, also offers a great variety for both retail and dining. The Arrowhead Towne Center Mall, new retail developments on Happy Valley Rd, and the District P83 shopping and entertainment district just to name a few; all offer something for everyone. As the area continues to grow, Peoria’s more high-end offerings should continue to expand as well. Which area is right for you will depend on your budget and your taste but either way it’s great to know there are so many options in both cities to choose from. Which has the best access to nearby hiking and recreation? 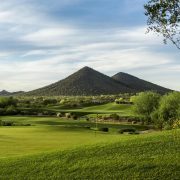 Scottsdale has many of great recreation options including the Green Belt, Bartlett Lake, and the McDowell Mountains. Peoria has Lake Pleasant, plenty of hiking and horse trails, and access to adventurous activities like ATV riding, para-gliding and more. Both communities are absolutely perfect for those who love to live outdoors as they neighbor beautifully scenic desert preserves. What city is right for you? Scottsdale is a great place to live, but Peoria is hard to beat if you’re looking for more affordable housing prices in a city that offers many of the same attributes of Scottsdale just outside the crowds of the city. 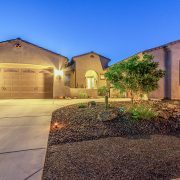 North Peoria offers many amazing neighborhoods with some of the best desert views in the Valley. If you’re ready to learn more about the home of Vistancia and what it can offer you, call us. Worries of a slowdown are spreading across the U.S. housing market, especially after this week’s sales miss by homebuilder Lennar Corp. confirmed for many the notion that demand is waning. 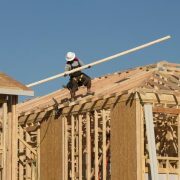 The homebuilder, which has a number of communities in the Valley, later said it was seeing improved home sales in the new fiscal year and that its lower-than-expected fourth-quarter sales were a temporary blip. The Federal Reserve also has signaled it will slow its pace of interest rate hikes, which eased some pressure on 30-year mortgage rates. Even so, concerns about a housing slowdown remain, but local experts say that worries of a slowdown in Phoenix are greatly exaggerated, mainly because of two things: caution and job growth. Even in the midst of a strong economy, Valley homebuilders have been more moderate with construction than in the previous boom. Compared with 2005, when builders pulled 60,000 permits, only 24,000 were pulled in 2018. Of course, there’s also a continued shortage of construction labor, so builders’ caution may be partly market-driven than a conscious choice. Then there’s the region’s job growth, which hummed right along in 2018 and likely will keep pace during 2019. A corollary to job growth is population growth, and so long as people move here, they need places to live. An abundance of move-in-ready homes can be a boon for empty-nesters trying to avoid having to move into a temporary living arrangement after selling their existing home while a new home is being built. A quick move-in home can be completely built before a buyer makes a purchase or it may be under construction at the time of purchase. Most homebuilders offer at least one or two quick move-ins at nearly every one of their communities. “We have homes in all stages of construction,” said Steve Snoddy, vice president of sales, Arizona Division, AV Homes Inc. “About half of our inventory homes are complete with all options chosen. About 25 percent of our homes are early in construction and the other 25 percent are at least halfway through construction. The homes early in construction allow certain high-impact options [such as countertops, flooring and cabinets] to be chosen by the customer. Robson’s move-in-ready homes are based on their most popular home designs, with “seamless transitions between indoor and outdoor space and open-concept designs integrated into the floor plans,” Hushka said, commenting that their move-in-ready homes are constructed on some of the most desirable home-sites within the community. This compares to occupancy in a home built from the ground up once a purchase occurs which can vary from five to eight months depending on the builder and the conditions in the construction industry. Where are the quick move-ins? Robson Communities’ Phoenix-area locations are PebbleCreek in Goodyear and Robson Ranch Arizona just south of Sun Lakes in the Casa Grande area. Usually, Hushka said, five or more movein-ready homes are in different stages of construction. Several move-in-ready homes are available at each Trilogy community: Trilogy at Vistancia in Peoria; Encanterra, the Trilogy Resort Community in the Southeast Valley; Trilogy at Wickenburg Ranch; and Trilogy at Verde River, located just east of North Scottsdale. at Estrella in Goodyear — and eight traditional family communities throughout the Valley. Up to six inventory homes in every community are available depending on the size of the community. In addition, many other Valley-wide homebuilders are currently offering movein-ready homes. Be sure to check out the two-plus pages of move-in-ready and/or quick move-in homes listed on pages 6, 7 and 8 in this section. You can negotiate on the price of a resale home but the price is the price on a new construction home, right? Generally, that’s true. Builders don’t like to discount their homes. But, a price reduction isn’t the only way you can save when buying a brand-new home. Use these tips and tricks and you might be able to get a better deal than you thought possible. New-home buyers—especially those who have never purchased a home before, let alone new construction—may not be aware that they can use a real estate agent for their purchase. Many new-home communities also offer a broker co-op to real estate agents. And using a Realtor is the best way to ensure that you are getting the best deal because he or she will negotiate on your behalf, finding out about any available concessions the builder is willing to make to sell you a home. It costs the builder far less to upgrade your flooring or your countertops than it would cost you, so they are more likely to concede to a couple of these upgrades than they would be to discount the price of the house. Don’t be afraid to ask for what you want; the worst they can say is, “No,” and you might be surprised at what they’re willing to throw in. New homes typically have options that give buyers some floorplan flexibility. While many of these options come at a higher cost, you may be able to get them for free depending on how motivated the builder is to sell. Want to turn a bedroom into a home office or a loft into an art studio? Ask away! Builders who are looking to getting homes sold quickly, especially if they have standing inventory, may buy down the interest rate, thereby making the homes more affordable for buyers. This is often tied to using the builder’s in-house or preferred lender, but that doesn’t mean you don’t have a choice to use another lender. It pays to do your research; talking to multiple banks or lenders may yield you a better deal, even with the builder’s incentive. “Consider alternate sources to find a lender,” said The Balance. “Your own bank or credit union might offer you very attractive rates and terms, based on your banking history with that institution. Your agent may refer you to his or her private list of wholesale lenders. High HOA fees and/or taxes like Mello-Roos can be a deterrent to buying in certain communities or areas. Builders have been known to cover these taxes and fees for a certain period of time to attract buyers. Oftentimes, builders move forward on the construction of homes before the lots have been purchased. Buying one of these newly-built homes can benefit homebuyers in many ways. Eliminates the construction wait—This may not necessarily translate to a discount for everyone, although it could for those who have construction delays that create the need for temporary housing or material issues that pump up costs. The best part is simply being able to move right in to a home that’s brand-new! No need to choose all the features and finishes—If you’re the type who can’t imagine having to make so many decisions, this may be a great option for you. Upgrades included—Move-in ready homes often include upgrade like nice flooring and countertops. These homes are also more likely to be discounted because builders need to get standing inventory off their books. Walmart has announced that it will now be experimenting with autonomous grocery deliveries in Arizona. It’s doing this in partnership with Udelv, an autonomous vehicle company. The pilot program is going to take place in Surprise, Arizona. Self-driving vans that are custom-made for delivering fresh groceries will be used in this pilot. The trial is going to begin later this month. 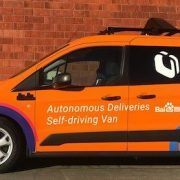 Customers will be able to place their orders online and they will then be driven over by Udelv’s autonomous vans. These vans are powered by Chinese internet giant Baidu’s self-driving platform. Since it’s a pilot program there may be some hiccups but they will help Walmart learn about the potential of this technology for the delivery side of the business. It has also been exploring a few pilot programs with other self-driving car companies to form a better understanding of how this technology can be used in the future. Walmart hasn’t said if it plans on expanding this pilot program to other parts of the country where self-driving cars are allowed on the roads. This may happen down the line as Walmart claims to have a store within five miles of almost 70 percent of the country’s entire popular. It can thus serve a large number of customers through this method. Trilogy @ Vistancia Is My Specialty! It is wonderful to have such grateful clients! I would be glad to help you rent/sell or buy a home in Trilogy too!